A few weeks ago, we were asked to set up our digital photo booth for TONY Awards after party at the Plaza Hotel in New York. Along with the booth, guests instantly shared images and comments on social media, and an instant slideshow of images was displayed on a plasma screen. 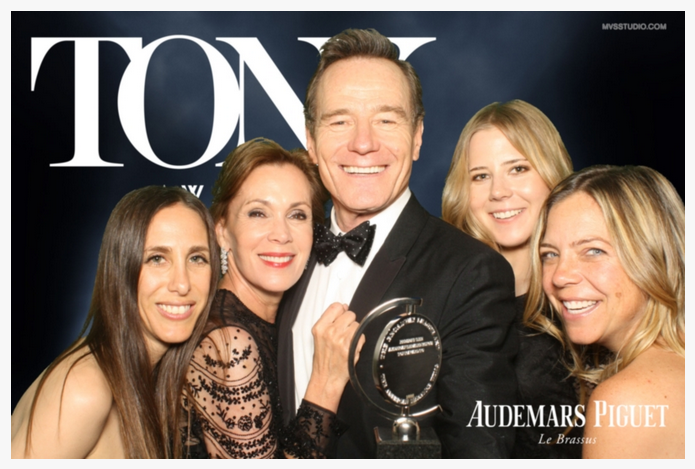 The gallery of images was star-studded, including this, from a man who knows what he is doing in front of a camera, Mr. Bryan Cranston. He also knows a thing or to about what to do on a stage, as he took home the TONY for his role as LBJ in All The Way. Broadway may have been dark that night, but the Plaza was bright with all the talent that snapped shots in the MVS Digital Photo Booth!